Kerry Frederick brings to his association with SOAR Performance Group a passion for building performance teams that acquire new clients and build long term, profitable relationships with existing clients. Having implemented numerous sales processes focused on executing effective sales strategies, Kerry brings SOAR clients extensive experience in managing complex sales cycles for both product and services offerings. His experience includes global product and services expansion, new market/product entry and early stage company sales growth. Kerry has held various sales, sales management and operational management positions for technology and consulting services firms. 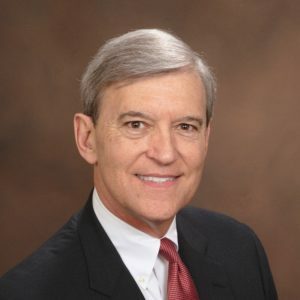 His experience includes both successful U.S. and International product launch and market penetration overseeing sales and operations expansion across the globe that connect solution value to business impact for customers. This included putting in place direct sales teams and building channel and alliance partnerships for accelerating growth. His teams have delivered over $500 Million in services and product revenue at enterprise resource planning leader, Management Science America/Dun and Bradstreet Software; sales force automation (CRM) innovator, Sales Technologies; management consulting firm, The North Highland Company and Intradiem, the leader in frontline, intraday performance improvement impacting representatives in the field, on the floor, in the contact center and behind the counter. Kerry lives in Atlanta, Georgia with his family and holds MBA and BBA degrees from Georgia State University and the Executive Marketing Management Program from Stanford University Graduate School of Business. A career-long technology advocate, he has current Technical Professional and Business Professional Certifications in Amazon Web Services (AWS) cloud solutions and services.